Do not over extrude filament when loading. As soon as the filament start protruding from the nozzle, stop. Loading any faster will cause the filament to get caught in extruder gear. Feed the filament directly to the extruder, and not through the feeder tube. This reduces back tension in the filament as well as drag, ensuring proper feeding. This type of filament is part of a new Gizmo Dorks line of color changing filaments. 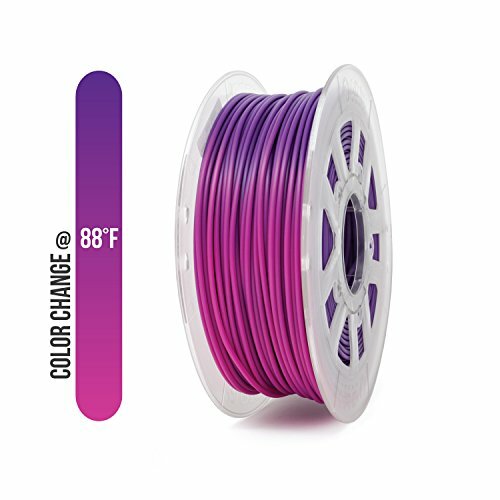 These color changing filaments will change colors at 31°C (88°F). 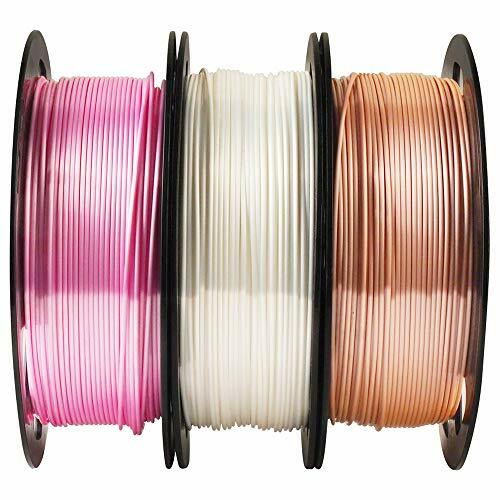 The filament is one color below 31°C, and when it is heated above 31°C, the filament will change to another color. For this specific filament, it changes from gray to white and vice versa. PLA, Polylactic Acid, is created from processing a number of plant products. PLA can be composted at commercial facilities unlike ABS which is derived from fossil fuels. PLA is a more earth friendly plastic. It is stronger and more rigid than ABS, and in general the printed objects will have a more glossy look and feel compared to ABS. Unlike ABS, PLA can be sanded and machined. PLA has a lower melting temperature compared to ABS. As a material, PLA has much less warping versus ABS. Additionally, a heated bed is not required to print it. PLA generally enjoys sharper details and corners compared to ABS without the risk of cracking or warping. 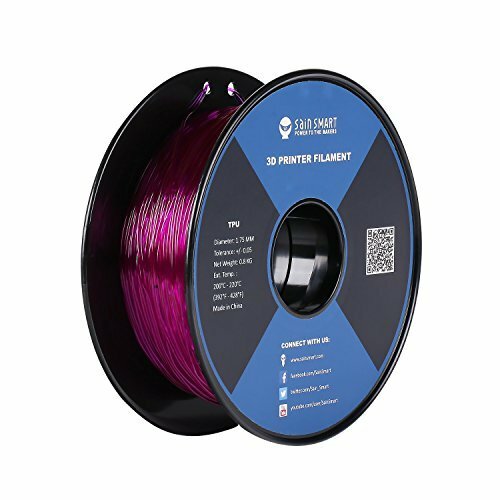 PLA can also be printed at higher throughput speeds. 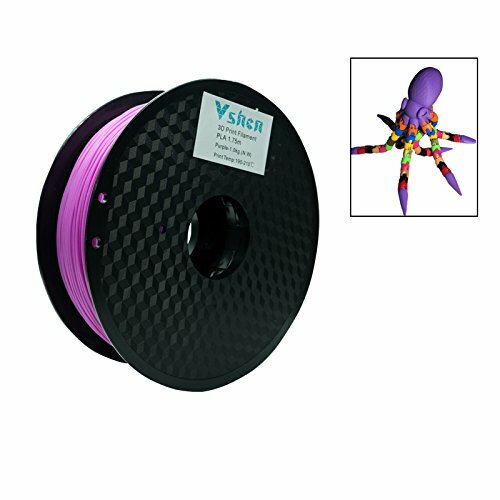 PLA comes in a variety of different vibrant colors, 29 different options total.